Choosing an audio rig is about as personal as shopping for shoes. You need something both functional and comfortable. You need something that will hold all of your necessary gear securely while allowing unfettered access. And as with most things that blend the technical with the creative, the tool becomes an extension of the operator. 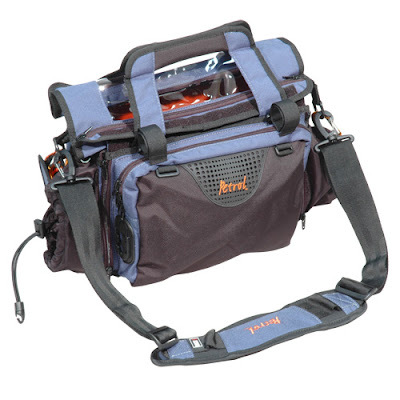 A well designed bag and harness keeps things close and open, while bearing the load comfortably during a full day's work. Those of us who do not have tentacles in place of regular arms will certainly appreciate the PEGZ-1F Eargonizer from Petrol. Petrol has enjoyed a well-earned reputation for making some of the more MacGuyver-style gear bags on the market; the 1F is no exception. The 1F is constructed of the same rugged blue ballistic nylon and high-visibility orange fleece lining as the rest of Petrol's product line. Upon first glance, the bag is identical to the previous model. It's only when you actually mount a mixer that you can see the well-thought out differences. 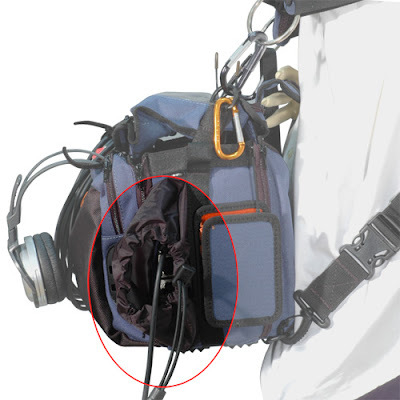 In addition to moving the mixer forward, there are also new triple d-ring mounting points across the top, allowing you more flexibility to rig the bag on a harness, distributing weight more efficiently. Trust me, after a 12 hour day bagged up and on your feet, your back will appreciate even the slightest comfort adjustment. The new d-rings (not to be confused with E-Ring, which was cancelled due to bad ratings). And finally, there is a larger, transparent window across the removable top flap. Not only does it allow you full visibility while keeping the bag's contents covered from rain and dust, it also had a dual-zippered system that can re-size the flap on-the-fly. The system can be configured to allow even the most ham-fisted of you to get both hands in the bag to adjust faders or change out batteries, all the while keeping the gear nice and dry. The 1F keeps the other features that made the first one so useful, including a whole bag of hook and loop dividers and pads, allowing almost infinite variability to meet just about any configuration you may need. Smartly, the designers included two internal cavities sized for NP-1 batteries, keeping them out of sight and out of the way. 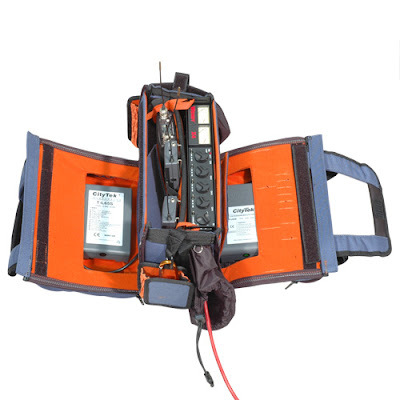 The bag comes standard with two of Petrol's very nifty wireless pouches, that are designed to clip on the bag at a variety of locations, including the harness, should you need to move a receiver up the body a bit to gain clearer reception. But the bag may not meet everyone's needs. 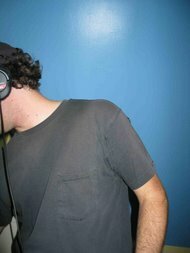 I generally go out with a 442 and two or three Sennheiser G2's. The wireless are pretty small and light, compared to, say, Lectros, so the 1F covers me just fine. 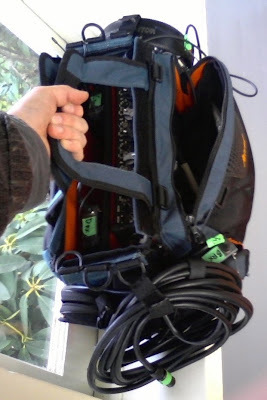 However, should you need space for more receivers, and /or a recording deck (the majority of my paid work is single-system), then you may wish to consider a larger bag up the line, or another manufacturer. 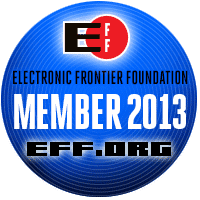 As of right now, the 1F (the smallest of the line) is the only one available with the forward-mounting option. 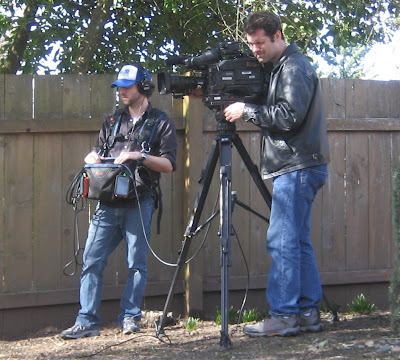 Using the PEGZ-1F on a recent HGTV shoot with DP Christopher Nolan. Pros: Usual Petrol build; extremely customizable internal wiring structure; more ergonomic forward mounting of mixer; exterior mounting pouches for wireless. Cons: may be too small for over-the-shoulder double-system, or larger numbers of wireless receivers. Got this bag a while back and love it. I'm still trying to break the nylon in from that stiff "new" feeling. Once that's done I'm sure it'll fit like an old shoe. The other guys had better keep an eye out. I picked the Petrol over the staid "old standard". The blue and orange guys have it going on. Agreed. I've also used Portabrace and Kata, and Petrol gets ergonomics and customization better than anyone.